Motorists across Canada can now pay for fuel and car washes as well as accumulate loyalty rewards using a mobile payment service that is being rolled out by fuel retailer Imperial Oil to 1,000 Esso-branded gas stations nationwide. 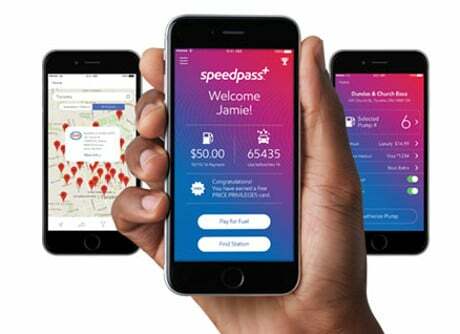 The roll out of the Speedpass+ mobile app in Canada follows its launch across the US in February 2016 by Esso and Imperial parent company ExxonMobil. “Customers can easily and securely authorise a pump for payment through the use of cloud-based technology, which does not require waving or tapping a smartphone at a pump or payment device,” Imperial says. “Imperial is dedicated to making the fueling experience convenient and rewarding for customers across Canada,” says Andrew Mackay, retail fuels manager at Imperial. “With the national roll out of the Speedpass+ app, Imperial is the first major fuels retailer in Canada to offer a fast, easy and secure mobile payment option that enables Esso customers to save time at the pump, while easily accumulating loyalty points. Gas pumps are a special case. They have leaked both credit card numbers and PINs. They are poorly attended, supervised, and controlled; they are vulnerable to physical tampering. They dispense a valuable and fungible commodity and have been used to monetize compromised credit and debit card numbers and PINs. They rank with ATMs as candidates for mobile security solutions. That said, Exxon/Mobil’s Speed Pass+ has not worked smoothly for me.